Kirsty Manners is young, beautiful and trying to make it as a model. As the in-house model for the Ivano King fashion house and girlfriend of Ian King, the man behind the label, she believes she is well on her way. But Kirsty is found dead in her flat one Sunday afternoon and D.I.Angela Costello is called to the scene. At first enquiries centre on the local gym where Kirsty, her dangerous ex-boyfriend, Darren Carpenter, and her jealous flatmate, Sandra Hodges, worked out. But things are more complicated. Ian King is considered to have lost his edge. Why then is he so buoyant about his latest collection for London Fashion Week? What about his new girlfriend, Eleanor Chandler, who openly admits to having a reason to wish Kirsty dead? Behind the gleaming smiles and flawless make-up of the glamorous fashion world, Angela’s enquiries uncover theft, drug-addiction, prostitution and imprisonment – and suddenly her own life could be in danger . . . 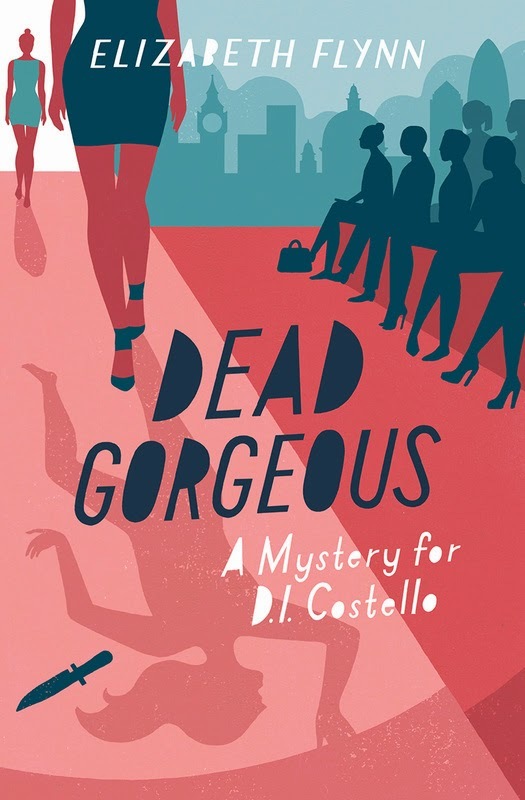 I kindly received Dead Gorgeous in exchange of an honest review by the publisher. I was very excited when I was asked to be part of Elizabeth Flynn's blog tour of Dead Gorgeous. The blurb sounded very promising and the book cover is such an eye catcher. Who could have said no to that? Dead Gorgeous is part of a series. The series started with Game, Set and Murder and Dead Gorgeous is the second book in the series. Both of them can be read as a stand alone novel. I have never read a book by Elizabeth Flynn before. What a good one to start with! I have been so impressed with Dead Gorgeous that I am even more happier I have recieved a copy of Game, Set and Murder as well. Kristy Manners was young, beautiful and a trying to make it as a model in the fashion industry. For a start, she worked as an assistant for fashion house called Ivano King. Kristy had big ideas, not only about the modelling, she wanted to live a the high life. She liked the idea of going out with a rich and famous boyfriend. She wants that lifestyle.And now... she is dead. At this point Elizabeth Flynn introduced us to Detectiv Inspector Angela Costello, who was called to investigate the murder of Kirsty, who was found dead in her flat. 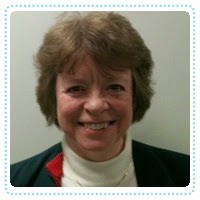 Not only dead, she has been murdered. When I started reading Dead Gorgeous, it was a difficult for me to get into it. The first few chapters didn't make any sense to me but when you keep reading all things come together at some point. Things picked up for me when D. I. Costello started to invastigate on Kristy's case. Quickly I was hocked by the story.When the story unfolds more and more we meet plenty of characters. Sandra, Kristy's flatmate, Darren, Kristy's ex-boyfriend. Ian King, Kristy's employee, several workmates and police officers and there are even more. Sounds pretty much like a confusing character overload? Not at all! Flynn created a brilliant storyline were all these characters are interlinked in some way and it worked so well. Elizabeth Flynn knew how to build tension in this book and I couldn't wait to find out what was going to happen next. There were twists and turns through out the book and I did not find it predictable at all, which added to my enjoyment of the book. I found the book captivating and kept me guessing who the murder of Kristy was. Sometimes my prediction changed from chapter to chapter and so many times I was on the completely wrong track. I loved that! Not only the the storyline, also the characters, for me, are really what made this book so great. They are all complex characters with their own agendas, thought processes and personalities. Angela is a fantastic character, I warmed to her straight away. Dead Gorgous was everything I was looking for in a light crime novel. It compelling, pace changing, and a real page turner. Who could say no to such a pretty cover. Glad you liked it!